If you are a parent of a preschooler, then there is a wonderful new online resource for you that launched this week! Univision has partnered with PreK12 Plaza to provide this free resource for Latino parents to help prepare their preschoolers for school. Too many Latino children continue to start kindergarten already behind, then struggle to catch up. eBooks, and more to help children get ready for school in just 15 minutes a day. It covers Math and Literacy skills, and there are also resources for parents. 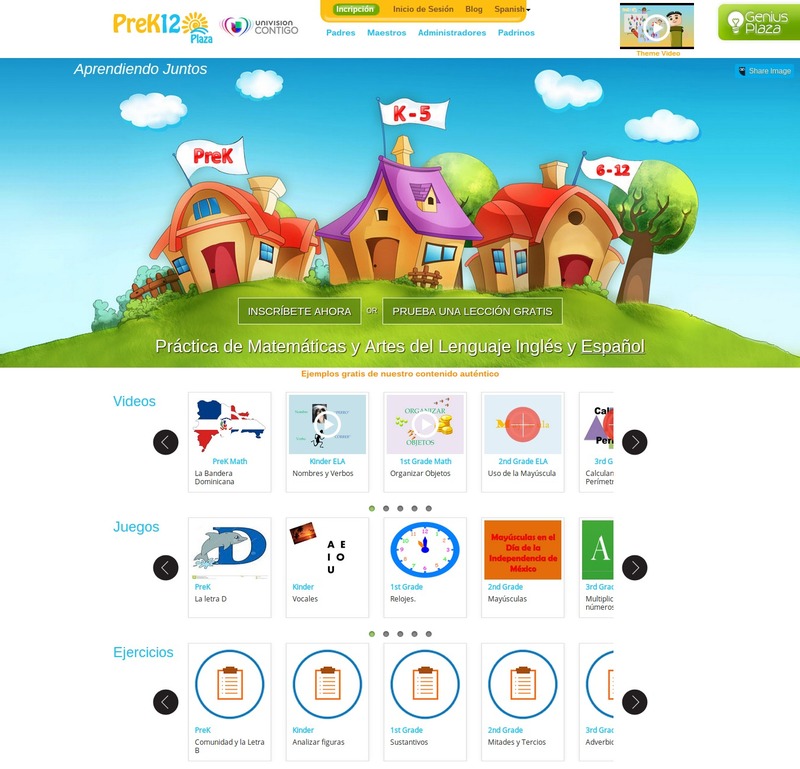 The whole site is available in Spanish AND English so you can choose the language that works for you. While this particular site is free, PreK12 Plaza offers a more robust site for parents with children in Pre-K through 12th grade. For a $25/month subscription fee, you get access to hundreds of resources that help your child excel in school. Don't worry, though, if it is not in your budget. You can apply for a Padrino. If your family is selected, you could receive a free subscription to the site.